Metal roofing is increasing in popularity. Homeowners love its clean, pristine look and its lengthy lifespan. But there’s another reason to choose metal roofing for your home: it’s good for the planet. Here’s a look at three eco-friendly benefits of metal roofs. They reduce your air conditioning use. Metal roofs are reflective, especially if you choose one in a light color. This means they absorb less heat from the sun than dark shingle roofs, keeping your home cooler in the heat of summer. A cooler home means your air conditioner uses less electricity. Since most electricity in the US is obtained by burning coal, which is a very polluting process, conserving electricity is an earth-friendly move. Metal roofs can last 50 years or more. In this time, you’d typically go through two shingle roofs, each one generating waste. The day your roof reaches the end of its life may be far away, but when that day comes, the metal from the roof can be recycled into other products. This helps reduce the amount of waste that ends up in landfills. They’re made from recycled materials. Most metal roofs are made with a high percentage of recycled metal. If you are trying to meet green building standards or build your home as sustainably as possible, your roofing contractor may recommend metal roofing that’s made from 80% or more recycled metal. Metal roofing looks great, lasts for decades, and helps preserve the planet. 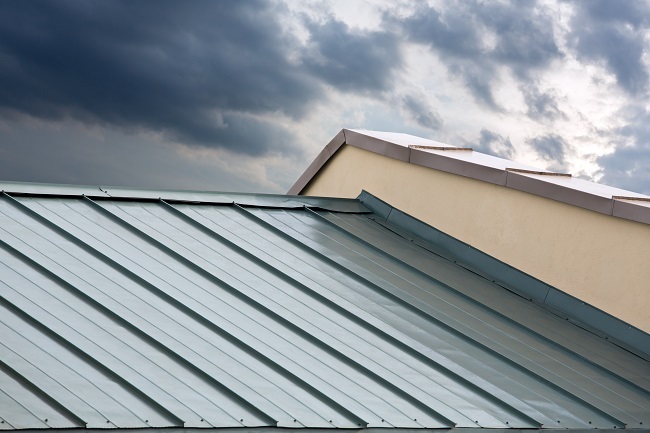 To learn more about your metal roofing options, contact us today. Should You Consider Having Your Roof Replaced this Spring? Though it may not seem like it, spring is right around the corner. 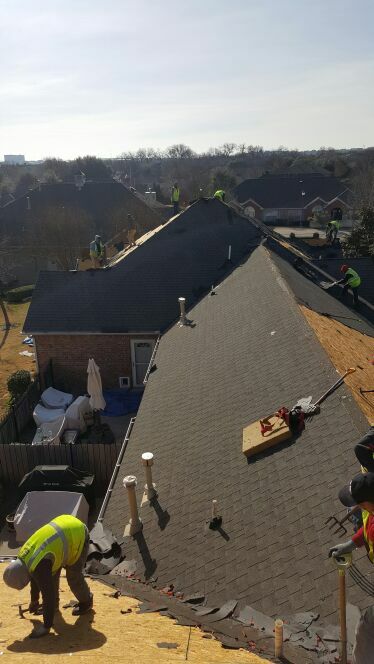 This means that it is the perfect time to consider residential roofing replacement. However, many homeowners do not know how to tell when their roof is in need of replacing. Here are a few of the signs you should look out for which indicate that you may want to consider having your roof replaced this spring. Determining the condition of your roof will likely require that you go on top of your roof to visually inspect it. However, you will want to wait until the weather is clear, and it has been dry outside for several days, in order to ensure the safest environment on your roof. If you are not comfortable inspecting your roof yourself, consider hiring a professional to perform an inspection. Once on top of your roof, you will want to look for damage to your shingles. Shingles that are curling, buckling or cracked indicate problems, as these shingles will not be able to properly keep moisture out of your home. You will also want to keep an eye out for missing shingles that may have been blown away in recent storms. If the problems seem isolated to a small number of shingles, you might be able to have these shingles replaced. However, if the problem is widespread, then it might be time to consider having your roof replaced. It is also important to consider your roof’s age when trying to decide if it is time to replace your roof. On average, residential roofs last between 20 and 25 years. If your roof is nearing this age, then it may be time to consider having it replaced before you encounter issues with water damage. If you believe that your roof may be in need of replacement, contact us to schedule an inspection. We can help you to determine your roof’s condition, and what your options are for replacement if it turns out that your roof needs to be replaced.